Yom Kippur, Day of Atonement, (the Sabbath of Sabbaths) begins at sunset today, ending tomorrow at sunset. This day ends the High Holy Days of the Jewish faith (also known as the “Days of Awe”) which began with Rosh Hashanah (this year at sunset on September 20th). Judaism teaches that God inscribes each person’s fate for the coming year into the Book of Life on Rosh Hashanah and waits for Yom Kippur to “seal” each person’s fate for the coming year. It is observed in the Jewish faith by fasting, prayer, abstaining from physical pleasures, refraining from work, and attending special prayer and worship services. Leviticus 16 describes God’s instructions given to Moses for Aaron for special sacrifices for the Day of Atonement. Most Christians don’t observe Yom Kippur simply because as believers in Jesus Christ, we believe that Jesus fulfilled the law and therefore, we are not bound by the law of the old covenant. The new covenant, made through the blood sacrifice of Jesus Christ for the atonement of our sins, frees us from the law of the old covenant. 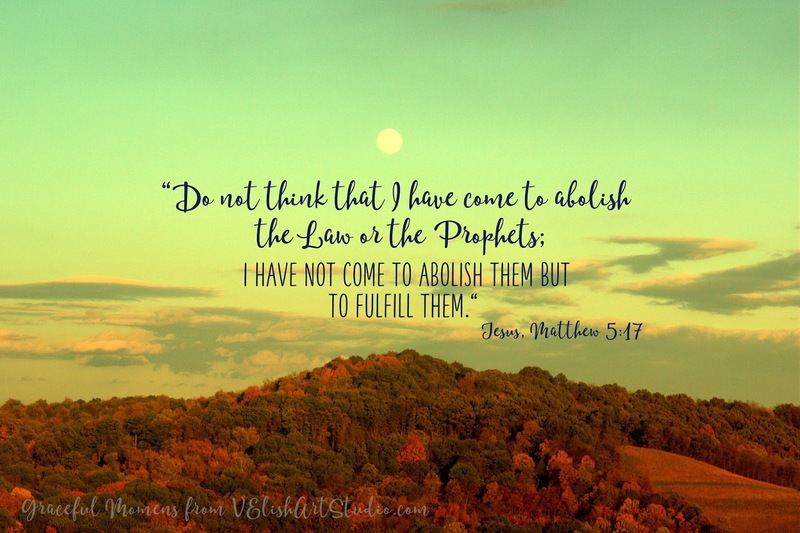 Jesus said, “Do not think that I have come to abolish the Law or the Prophets; I have not come to abolish them but to fulfill them.” (Matthew 5:17. )* Those who belong to Jesus are assured of having their names written in the Book of Life and will not perish. While I, as a Christian, do not observe the High Holy days of Judaism, I have always thought that Yom Kippur and the preceding High Holy Days are an appropriate time for all believers to reflect on our actions, thoughts, words, and the nature of our hearts over the last year and make sincere repentance. For we all fall short and sin and only by His grace will we be saved and not perish, not by anything that we can do, but because of what he has done and freely given to all of us who believe.